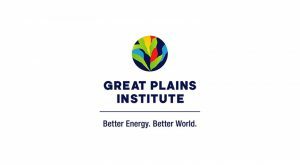 The Great Plains Institute (GPI) is a non-partisan organization committed to making the way we produce, distribute, and consume energy both environmentally and economically sustainable. GPI accomplishes this mission via research and analysis, consensus policy development, technology acceleration, and local action. This grant supports efforts to reduce greenhouse gas emissions within the Midcontinent Independent System Operator (MISO) grid system— covering a 15-state region stretching from Minnesota to the Gulf of Mexico— with wind and solar resources. GPI works with MISO staff, public utility commissioners, and utilities to meet power plant carbon emission reduction standards, deploy clean energy resources, enable efficiency, and create market mechanisms to incentivize energy demand to match clean energy supply.